Bethesda Softworks is a well established company, having been around for longer than 20 years with a variety of games for PC and consoles. They started in the mid-80’s with some sports simulations (‘Gridiron!’ – ‘Hockey league simulator’,) and then released various other titles ranging from action-adventure platformers to racing games. FInally, they settled on what made them popular, or the Elder Scrolls series. The company were acquired by ‘Zenimax Media’ in 1999, founded by Chris Weaver or the original founder of Bethesda. It is currently based in Rockville, Maryland, moving from their original location in Bethesda, hence its name. The Elder Scrolls series begun with the release of Arena in 1994 and subsequently the release of Daggerfall, where the important innovation was primarily randomly generated terrain and dungeons. These two titles already showed much of the promise for what was to be a gargantuan advancement in open-ended RPG gaming, in terms of both diegetic and non-diegetic elements. In essence, a world that "stimulates emergent narratives." 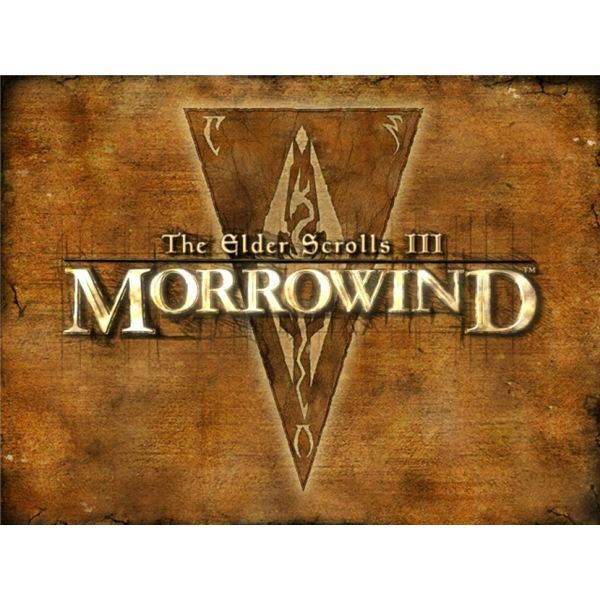 In 2002 ‘The Elder Scrolls 3: Morrowind’ was released for the Windows and Xbox platforms, and many of those who bought it or were involved, couldn’t help but feel that something new was happening. but you are grateful and soon head to the registrar’s offices to give yourself a name, and a career. Most importantly you must hand a package to a man named Caius Cosades, who will eventually reveal what your purpose on Vvardenfell is. Although the narrative is a bit ham-fisted, the history of the world supporting the story makes the world more believable; aspects like its various races, Gods and general lore are well documented in-game and are even stored online. 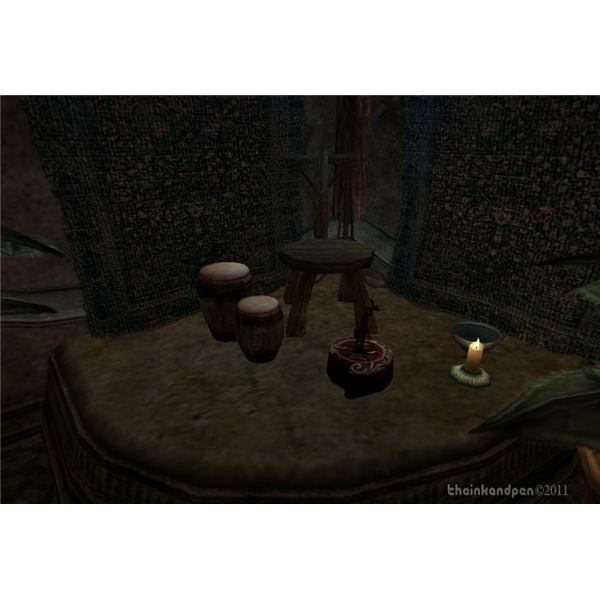 You can find extensive tomes in some of the Dwemer dungeons for instance, which will go on for some length explaining the social structure and technology of this now defunct race. 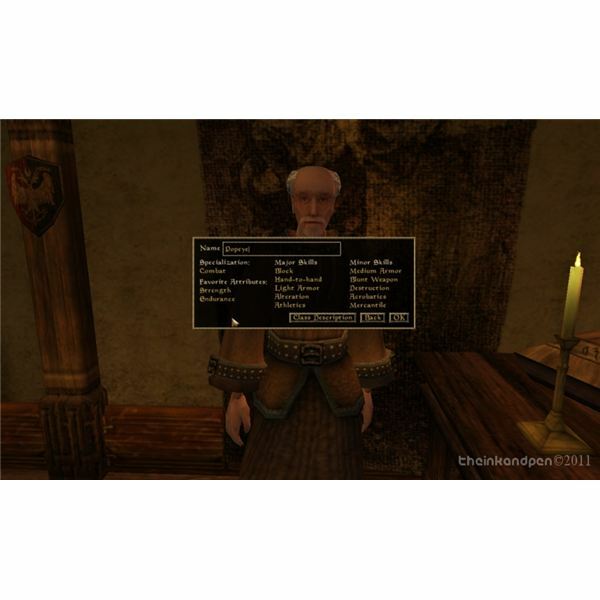 The character creation system is based on eight attributes, thirteen birthsigns, twenty-seven major/minor skills, a variety of classes and ten races. It allows for customization as far as which class you want to be, rewarding dual-classes more than pure ones; a Spellsword, for instance, often results in being more powerful than a pure Mage. The levelling system has been described as complex rather than complicated, but it allows character-growth even with a superficial understanding. After having chosen your preferred hero, the main quest will be there for as long as you want. The non-linear nature of the game is one of its greatest strengths. You have a choice of three Great Houses, the political pillars of the world, and almost twenty different guilds with a number of separate quests. There's no room for boredom, although some factions are not fully playable, such as the Blades or Ashlanders. and icons of any trinkets your are wearing, such as magical items which are highlighted.The map in Morrowind isn’t displayed until you go over the terrain (the fog-of-war effect.) There are two kinds of maps; one displaying the whole continent and cities which you have uncovered, another showing the town where you currently are in more detail. The game's graphics have aged fairly well, and touches such as the water effects and natural setting hold up. The combat system automatically chooses the best actions for you, depending on what kind of character you’ve decided to play. You can slash away with a warrior, or float about (levitating spells are handy) with a wizard. In any case, just draw your weapon or set your spells and aim with the cursor. Jeremy Soule is no stranger in painting an orchestral masterpiece, particularly for role-playing computer games. Though material for this genre might be limited, in the choice of theme itself and the resources used to convey it, the in-game music unobtrusively adds to the experience. Whether it be a martial gallop or gently swaying strings, the themes will stay with you for some time. The voice acting – featuring Lynda Carter of 'Wonder Woman' fame – received some praise in reviews, though others believed it to be detracting. The accents and dialogues were flawless English, which does create some incongruities with how Dunmer culture, including language, was represented. One must experience the Elder Scrolls to understand its achievements in the genre. Progressively, by playing 'Arena' and 'Daggerfall', one could see how Bethesda ultimately arrived at such a successful formula for the Elder Scrolls series, with an emphasis on non-linear gameplay where the player dominates his environment. 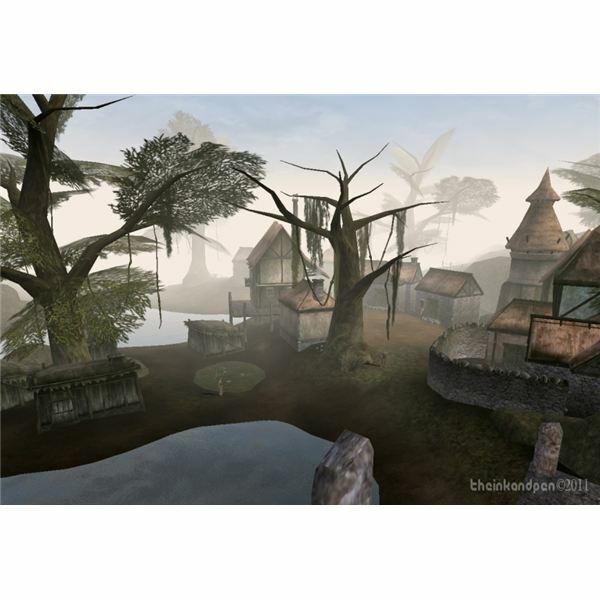 Morrowind still enjoys healthy popularity many years after its release, with a thriving community releasing custom content to expand the game. This speaks volumes when other more recent titles hardly last a year: you could do worse than play this game, even if you are not an RPG fan. View various reviews of Elder Scrolls III: Morrowind as well as a look at the official game guide.